we believe in recycling. Unwanted paper is recycled on a fortnightly basis through our local Council. We reuse office supplies such as rubber bands and paper clips (but not, however, staples :-)). we discourage the use of plastic throwaway drinking vessels in our work (and home) environment for staff and visitors and only use glass and ceramic which can be washed and reused. On the road, we use metal flasks. 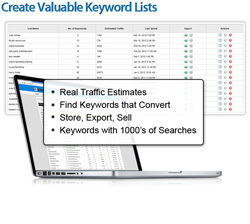 Get Jaaxy, the world’s most advanced keyword search tool – free!